It's always a productive and enjoyable outing to a FUND Conference event! A very efficient way to meet startup founders, investors and people having an impact. FUND Conference keeps setting a higher bar and exceeding expectations. Many thanks. The 2018 FUND Conference Chicago was a great experience! The program was well organized and offered a broad array of valuable content. The speakers were exceptional and included some of the top names in innovation, VC and the tech industry! I am looking forward to the 2019 conference! We came all the way from Portland, OR to be a part of what FUND is doing in Chicago. We had a chance to experience the heart of the startup scene in the Midwest, as well as meet entrepreneurs and investors who are dedicated to changing the world. We made connections that will benefit our business for years to come, as well as friendships that will last a lifetime. - David Becker | COO, Goodwell Co. The inaugural FUND Conference in Austin did a fantastic job in pulling together some very strong players in the investment community for some very necessary discussions on this all-important topic. I am already excited to see how the event grows and evolves for spring 2019! Being a part of the inaugural Fund Conference in Austin I was extended the perfect opportunity for people to hear my message and with a new set of eyes, see the platform. This is a time to make connections, build relationships and establish fans of your company with the hopes of securing a better future for your business. Participating in FUND’s Women Investing in Women event was an awesome opportunity for which I will always be grateful. Having the opportunity to meet and network with such a powerful and inspiring group of women founders is rare and I am sure the connections I made will only have a positive impact on my business. FUND in Austin is a great addition to the Texas startup ecosystem. There is nothing quite like founderati networking at scale. The staccato of very short pitches and sprawling startup expo are great formats. Hurry back soon. FUND Conference is the place to connect with startups and investors from around the country. It also provides exceptional learning opportunities that support high-growth entrepreneurship and innovation. Shortly after attending the Fund conference and subsequent work with Venture Connects, we successfully secured a term sheet for our Series A round with an institutional investor that Terri introduced us to. We are now working to complete the purchase agreements for the investment, and now have the ability to plan for growth. I would highly recommend working with Terri and her team. K9 Fit Club exhibited at the inaugural FUND Conference in 2015. We proudly accepted recognition as a Top10 company and gave our elevator pitch main stage that day. Just a few weeks later, we closed our seed round through an investor met at FUND. Our (female) Founder has been involved with this amazing event each year since. The network of people involved at FUND are simply phenomenal. 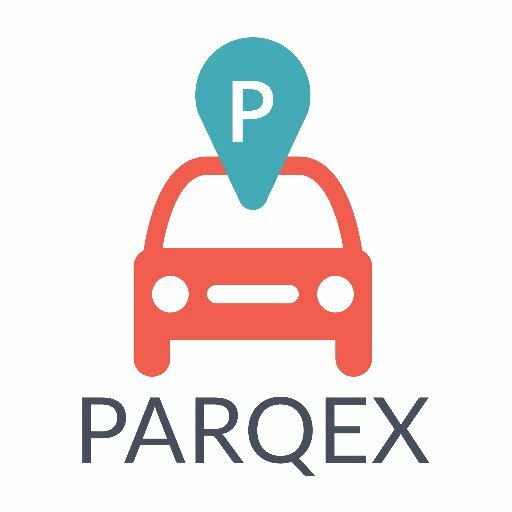 ParqEx exhibited at FUND Conference in October 2016. The connections made were invaluable to our company. We met with several seed investors and completed our full round of funding just a few weeks after the event. We value our relationship with FUND Conference not only because of the funding we secured through exhibiting, but also the fantastic network of people that attend. This past year was easily the best FUND Conference our team has attended. We take great pride in being able to grow along FUND recognizing it once began as a startup as well! FUND Conference was an excellent opportunity to get out there and show off Trusted Herd to Chicago and the Midwest. While it was great to connect with angels and some VCs, I equally, if not more, enjoyed connecting with 100+ fellow, exhibiting entrepreneurs; end of the day we're all on the same team! If you are a Startup in Chicago or any other city that there is a FUND Conference or a Venture Connects event being held, we encourage you to do yourself and your Startup a big favor and do what you can to attend, network with as many individuals as possible and then follow through. You just may find yourself FUNDED. Looplio did. We were so incredibly happy when we got accepted to exhibit at FUND Conference, and we were absolutely blown away when the audience voted for Everykey as their favorite company! It was really great to see a thriving entrepreneurial ecosystem right here in the midwest, and we were very lucky to meet quite a few investors relevant to Everykey at FUND Conference! FUND Conference is a wonderful opportunity to compress months' worth of results into a couple days. Show up & get connected. FUND Conference was an amazing experience! We had gone to a couple conferences around the same time, but none had as many investors walking around as FUND did. The timing couldn't have been better either since we were in the middle of a raise. Highly recommend to any young startups looking to make new connections! Being a participant in the Fund Conference would be one of my top highlights of 2017. It was undoubtedly a great platform to create conversations based around the rigors of entrepreneurship, the difficulty of capital acquisition, and the seldom discussed lack of diversity in both. It was fun sharing a glimpse of my experience and journey from a professional athlete to the dual role of investor and entrepreneur. The FUND Conference plays a critical role merging the tech entrepreneurship and investment communities each year to celebrate and highlight the top innovators in the country. As an attendee and speaker in 2017, there’s no other place I’d rather be! FUND does more then help grow your business - they create lifelong friends! Fund Conference was a great opportunity to meet other great startups and really understand the great network of investors the MidWest has to offer. Clicktivated, was an exhibitor at the event and I was very pleased with the connections made and interest we received from some fantastic investors at FUND Conference. Wheedle found the FUND Conference to be an exciting and informative experience that provided introductions and exposure to a fantastic community of start-ups, investors and those that support the entrepreneurial community. In addition to great memories, we walked away with a list of contacts to follow up with and several investor meetings.